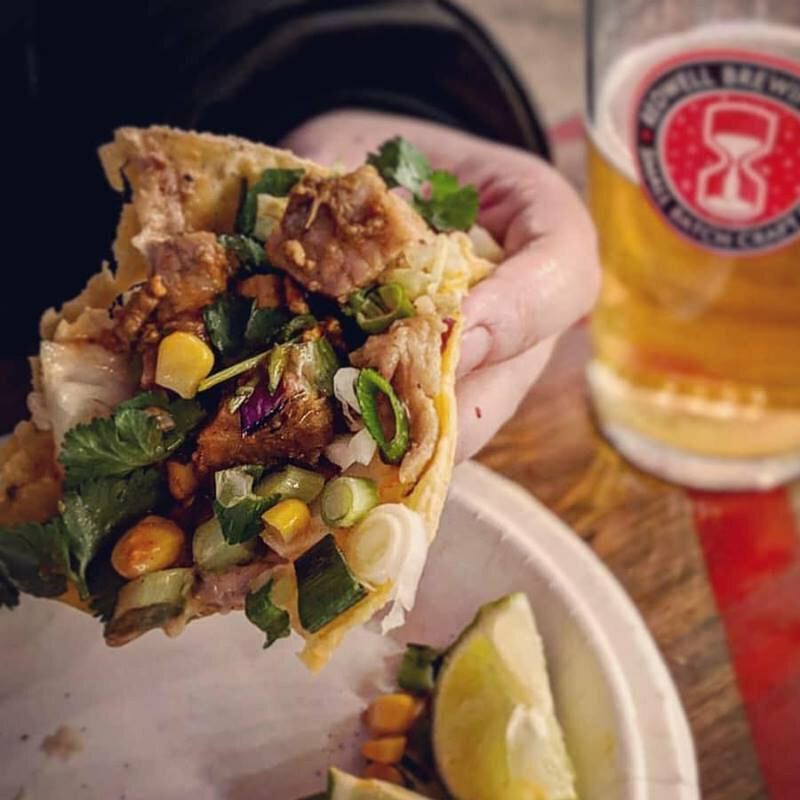 Seriously delicious, freshly cooked tacos, burgers & fries from The Cabin, served up at Deepdale Backpackers & Camping during the evening. Eat in the courtyard, take back to your tent or get a takeaway to take elsewhere in the village. The menu on the evening will be very tasty, and will served from Justin�s caravan, The Cabin. Menu will suit meat eaters, vegetarians and vegans, a sample is below but specials each night will change. All our meat is ethically sourced direct from freerange farms with the highest animal welfare standards. 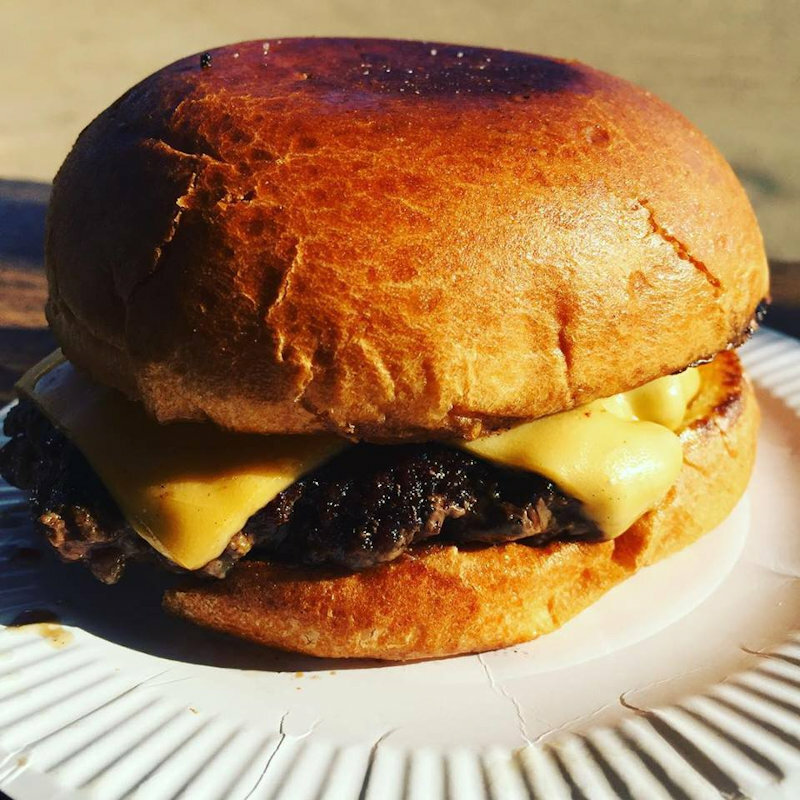 The Cabin is a converted 80s Avondale caravan serving Norfolk Tacos and Burgers. 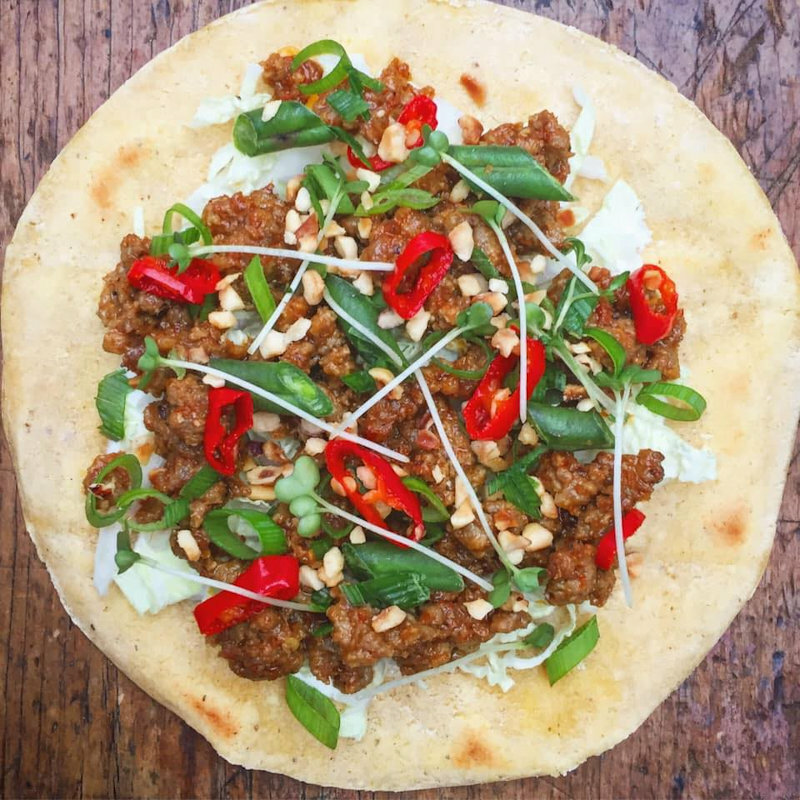 All their produce is the best of Norfolk and is being lovingly cooked by Justin, previously a partner in Spit&Roast in London for the last 6 years. Please note that we can�t guarantee availability, sorry. As food is hand made, so quantities are limited. 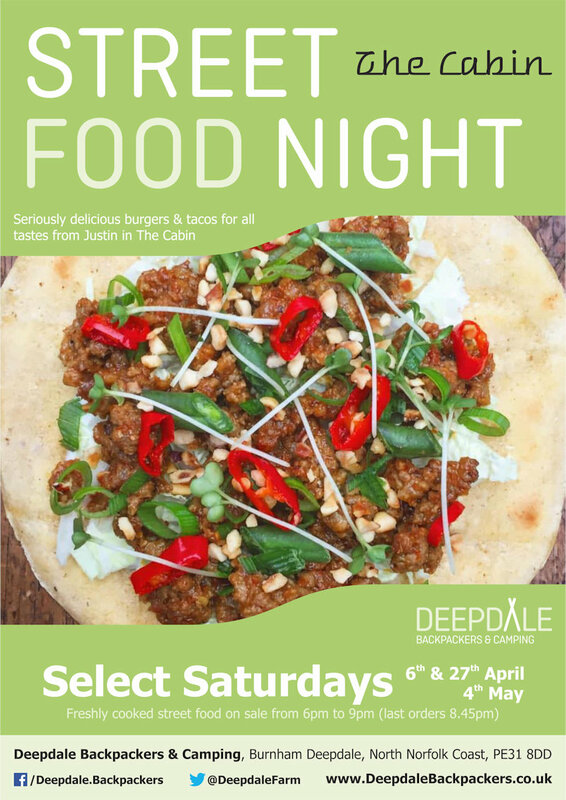 Deepdale Street Food Night at Dalegate Market - Seriously delicious, freshly cooked tacos, burgers & fries from The Cabin, served up at Deepdale Backpackers & Camping during the evening. Eat in the courtyard, take back to your tent or get a takeaway to take elsewhere in the village.